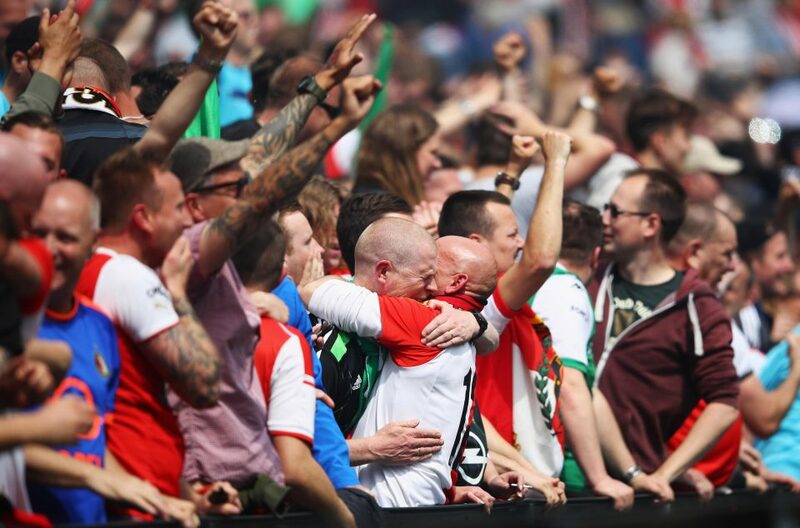 Feyenoord captured their first Dutch soccer title since 1999 after beating Heracles Almelo 3-1 in the final round match of the Eredivisie here on Sunday. 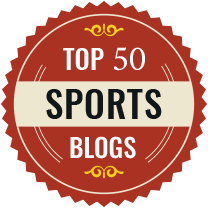 After losing 3-0 at Excelsior last week in their first chance to become champions, tension rose to a climax on Sunday afternoon in Feyenoord’s stadium De Kuip. 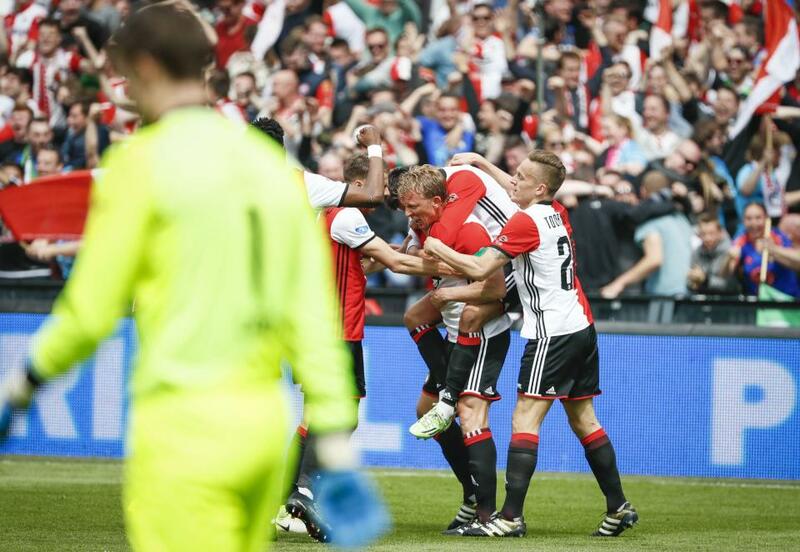 Feyenoord needed a win against Heracles to secure the long-awaited championship, with Ajax playing at Willem II in Tilburg at the same time. 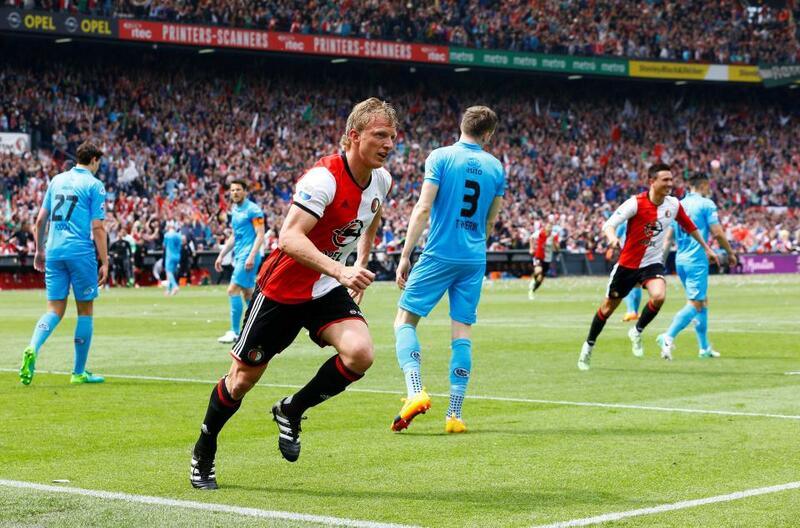 Captain Dirk Kuyt became the hero as he had a hat-trick feat during the match. In front of 50,000 excited fans, the 36-year-old veteran opened the scoring after 30 seconds, with a phenomenal shot from the right side. With the goal, Kuyt took away the pressure from his team-mates and he continued with his second goal in the 12th minute with a header off a cross by Eljero Elia. Six minutes from time, Kuyt converted a penalty to complete the feat. Peter van Ooijen scored a late goal for Heracles. For Kuyt, the title was extra special. The forward returned to Feyenoord two years ago after nine years abroad at Liverpool and Fenerbahce. His main goal was to capture the title with Feyenoord, because he failed to grab a trophy in his first period in Rotterdam from 2003 to 2006. Now his dream came true, as well as the dream of thousands of other Feyenoord fans. 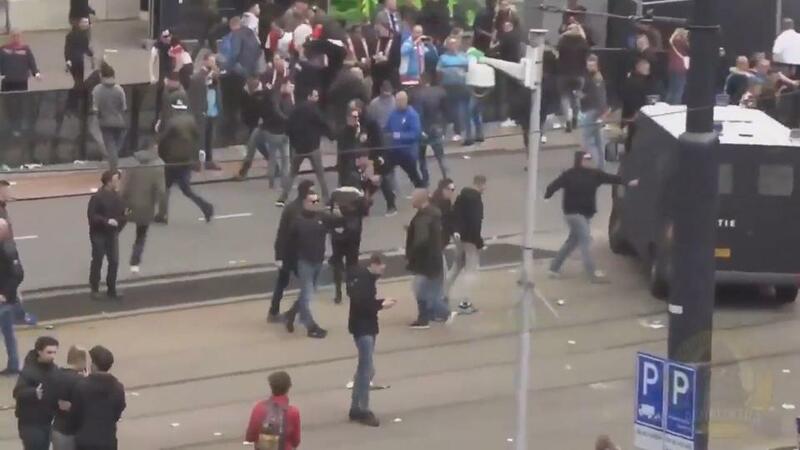 Also on Sunday, Ajax beat Willem II 3-1 in Tilburg. Kasper Dolberg gave Ajax the lead, Davinson Sanchez headed in a corner for the second and Davy Klaassen also scored. Jari Schuurman produced the late only home goal. 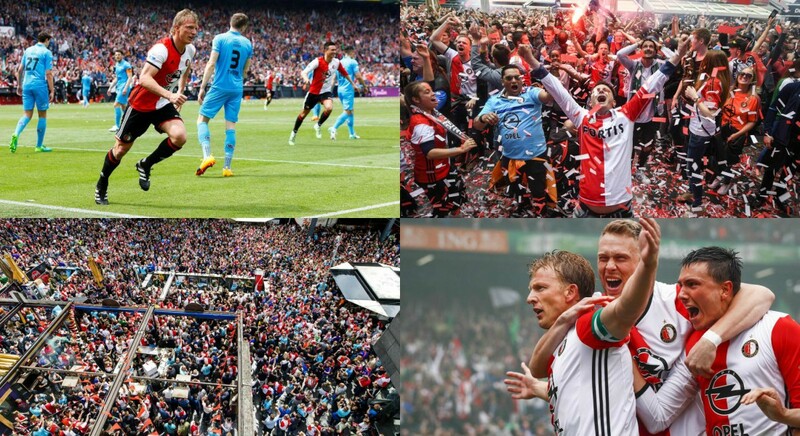 Feyenoord finished the season with 82 points from 34 matches, while Ajax finished second with 81 points. With the first place, Feyenoord have qualified for the group phase of the Champions League, while Ajax will have to play in the preliminary phase of the Champions League, or they win the Europa League in the final against Manchester United on May 24, which would earn Ajax a direct ticket for the Champions League. After the final whistle, an explosion of joy broke out at De Kuip and all over the city of Rotterdam, where thousands of fans gathered. Many years of frustration came to an end. 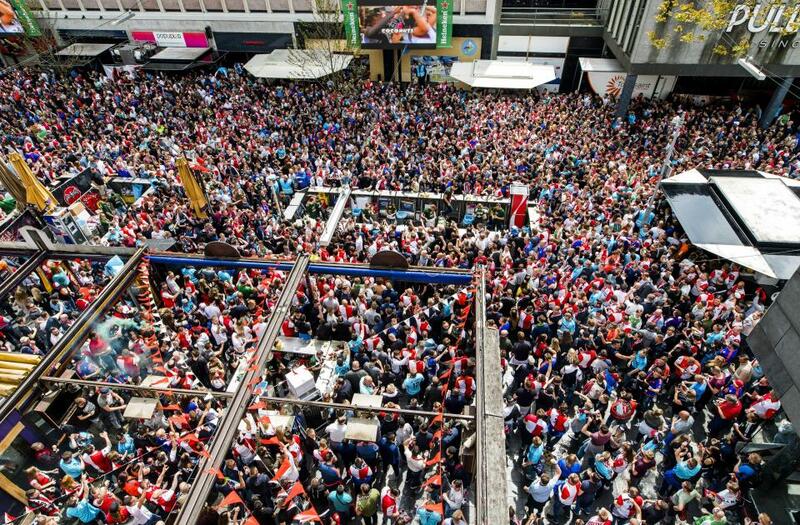 The official team title celebration is scheduled for Monday at the Coolsingel street. Since the last title in 1999, Feyenoord had won the Dutch Super Cup (1999), two times the Dutch Cup (2008, 2016) and the UEFA Cup in 2002, but the sleeping giants, winners of the European Champions Cup in 1970, had mostly struggled in the league. With former Feyenoord player Giovanni van Bronckhorst in his second season as coach, after he had finished third last year far behind PSV and Ajax, everything fell into place this season. Feyenoord were on top from the start, had the ability to deal with deficits and proved to be a consistent fighting machine. 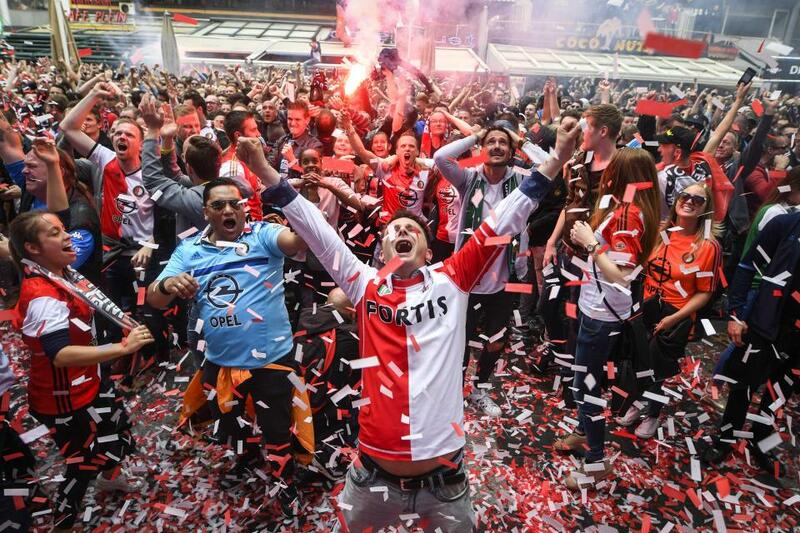 Feyenoord have captured 15 Dutch titles in total, after their triumphs of 1924, 1928, 1936, 1938, 1940, 1961, 1962, 1965, 1969, 1971, 1974, 1984, 1993 and 1999, to rank third on the list of Dutch champions, after Ajax (33 titles) and PSV (23).